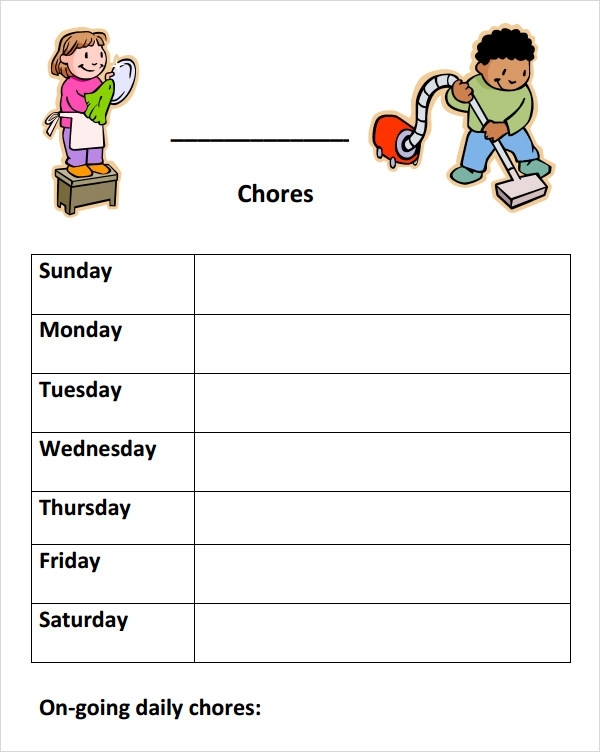 Making a chore list can be as tiresome sometimes as doing the chores themselves. However, given the pressures of our current lifestyle, a to-do list for chores, whether personal, professional, or household, is all but essential to keep track of the many activities one needs to partake in. 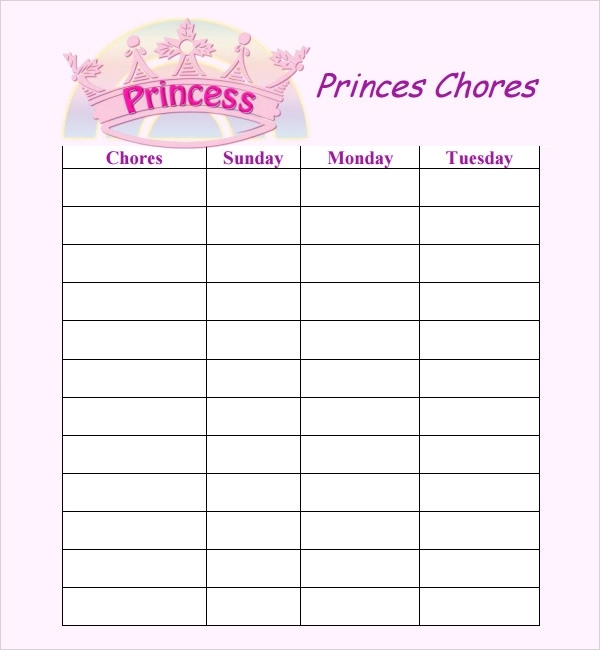 And in order to cut down on the time needed to come up with a chore list, one can make use of Chore List Templates available online as free downloads or premium designs. 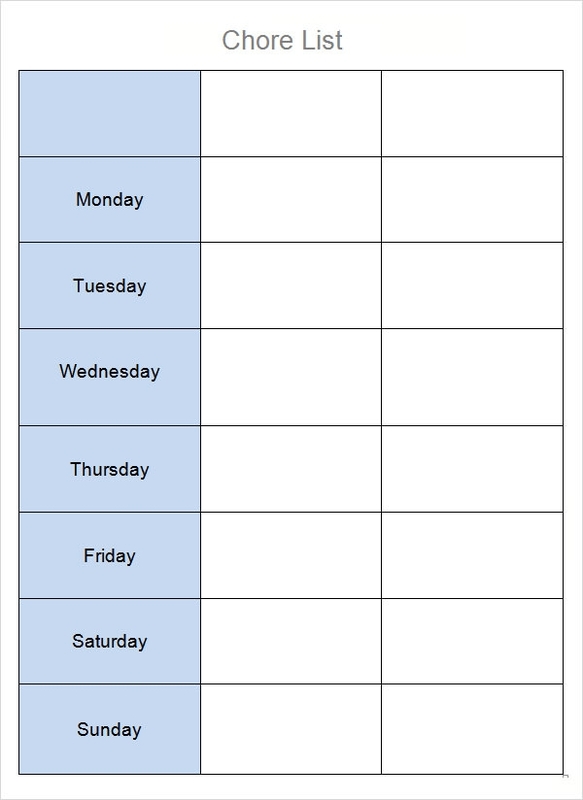 With such Printable List Templates, one need only fill out certain generic fields to have their daily chore list ready. 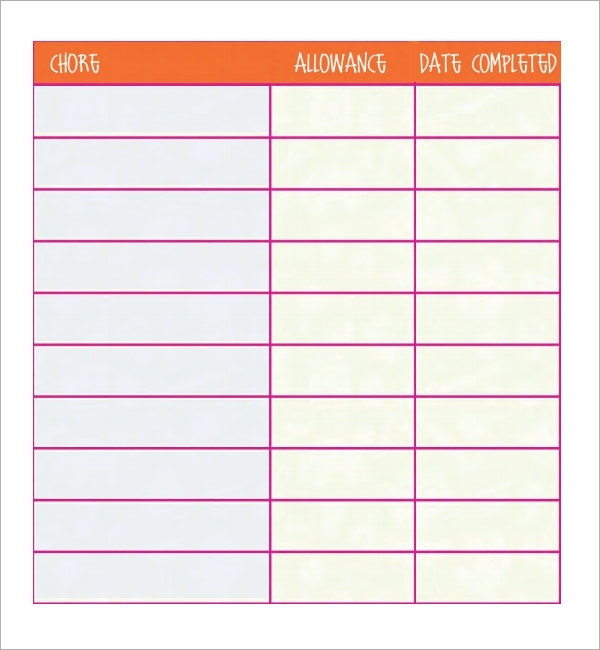 Find a Chore List template ? 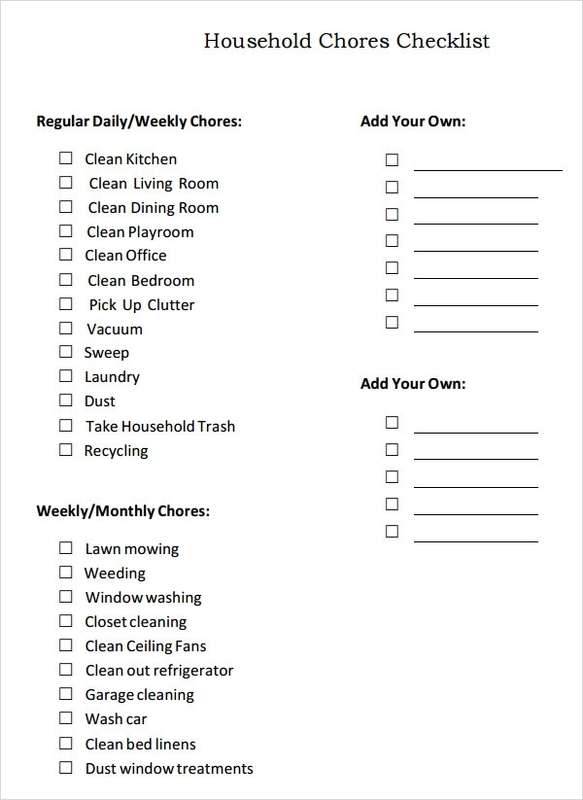 Does anyone have Chore List template Such easily printable chore list templates, available in word, excel, or other software, can let you organize your chore routine more easily and create an elaborate timeline and allotment schedule for each chore. You can also categorize them more smoothly depending on factors like the nature of the chore, location, effort required and responsibility. 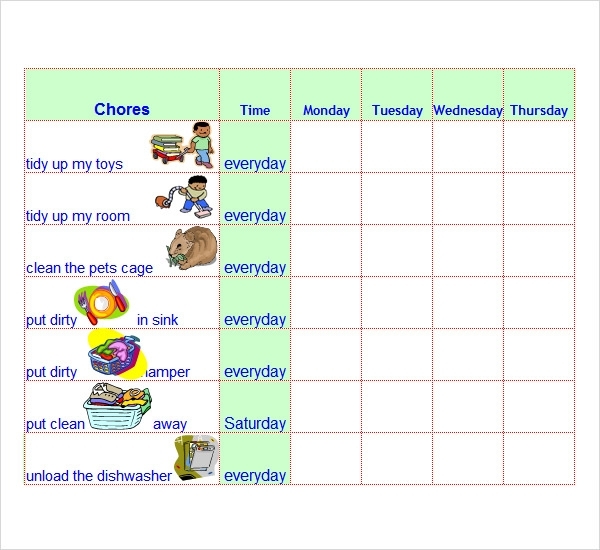 Thus you can have different chore list templates for teenagers, children, and other family members or employees. You can also download free samples to make sure you get the correct chore list for your requirements. 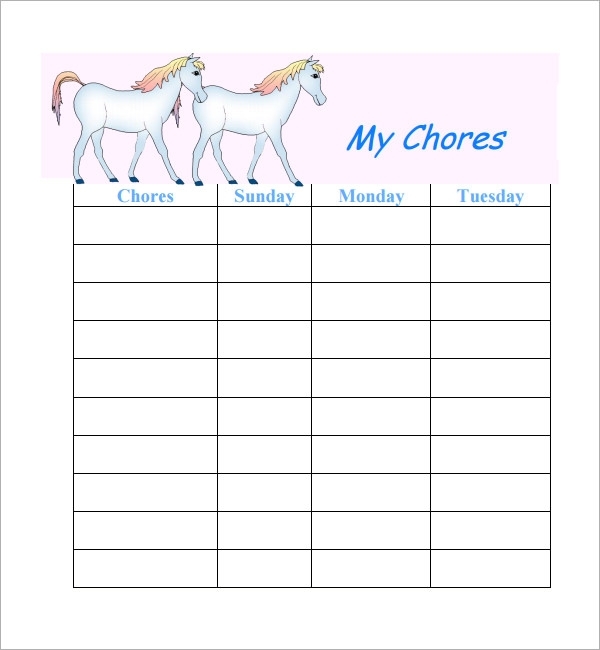 Excel chore lists can also allow you to create specific and elaborate fields and add multiple fields for each chore thus creating sub-chores, helping you streamline your daily routine and giving you a handy list that’s perfect for families where everyone has something to contribute each day. 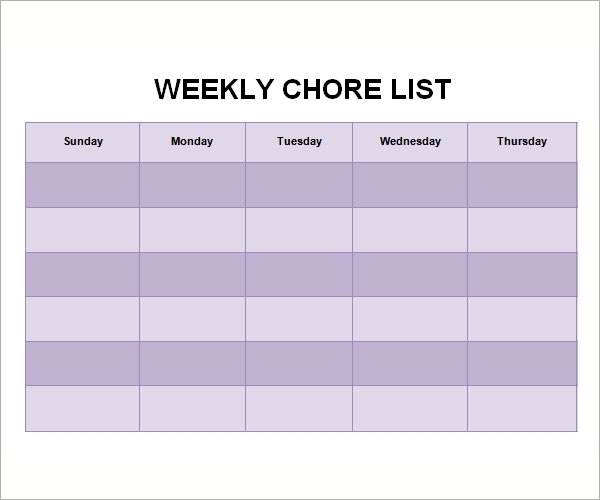 Chore lists are perfect means to outlining your chores and dividing them. Chore list templates can help you create lists more easily. There are specific templates for specific purposes and work/age groups. They can be downloaded easily for free or as paid services. They can be edited easily and can provide handy to-do lists to manage daily workloads.